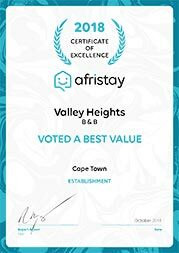 Valley Heights Guest House is a true “home from home“ retreat, situated in the peaceful, safe and leafy suburb of Upper Kenilworth in Cape Town’s Southern Suburbs. 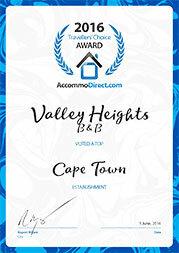 It is ideal for business and holiday accommodation whether singles, couples, families and groups of friends or colleagues. 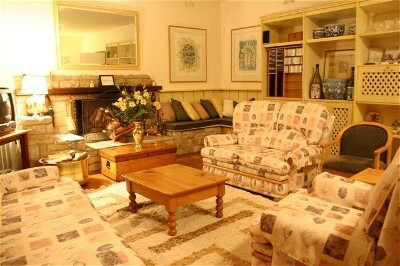 The Guest House is close to major tourist attractions incl. 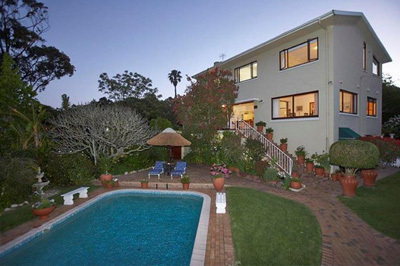 Kirstenbosch Gardens, Newlands Cricket and Rugby grounds, Cavendish Square, fine restaurants and is within easy access of Cape Town, the Waterfront, False Bay and Atlantic seaboards. 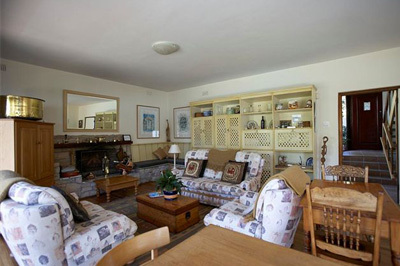 Valley Heights Guest House offers 3 star bed and breakfast accommodation for up to 16 Guests. 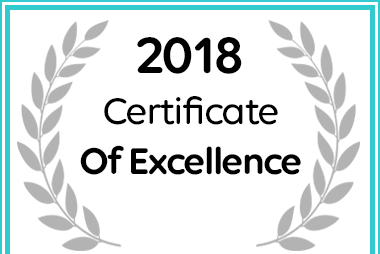 Comprising of 5 B&B rooms and 2 Self catering units. All units/ rooms have TV/ M-Net / DSTV, bar fridge stocked with soft drinks and waters, kettle and a safe. The rooms are tastefully decorated and serviced daily. Guests may make use of the large, sunny lounge and patio area with built-in braai / BBQ facility. The hosts live in a separate Cottage in the grounds. 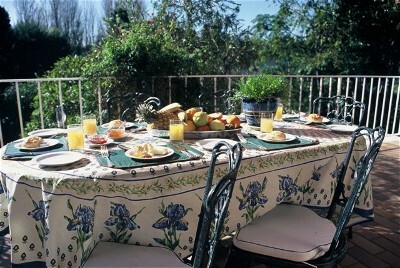 Additional facilities include a large salt-chlorinated swimming pool, gazebo and tranquil garden setting with fountain. Note : Guests use the pool entirely at their own risk! There is secure parking for 5 cars behind security gates. 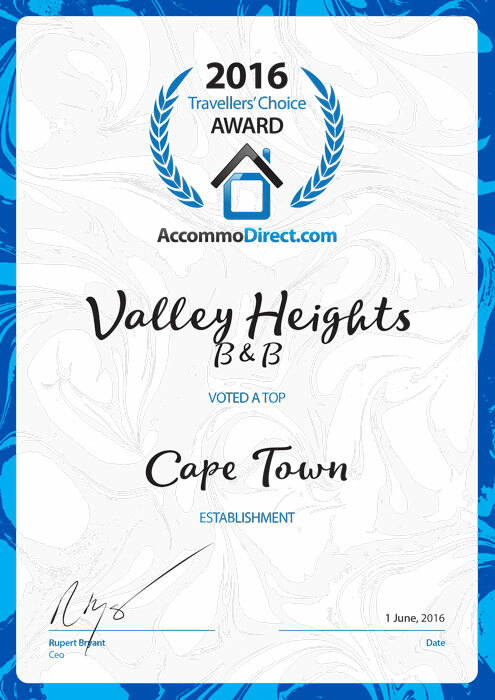 Valley Heights offers free Wi-Fi and we have a BBBEE 4 Rating with 100% procurement recognition. 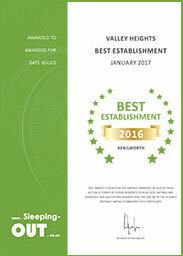 Based on reviews of establishments, Valley Heights has been voted Best Establishment in Kenilworth for 2015. 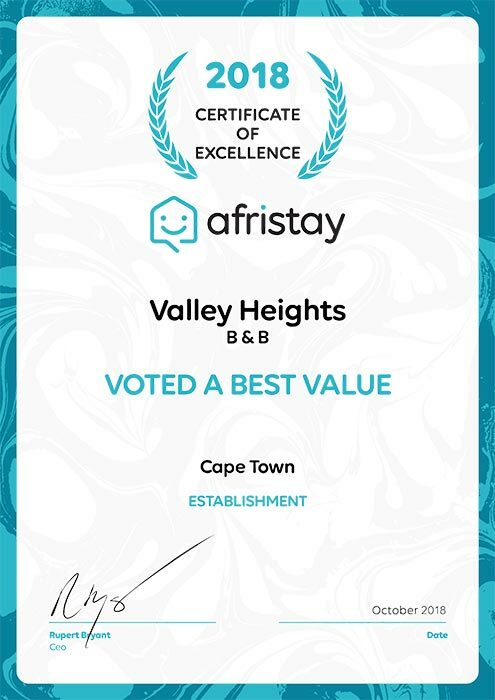 Valley Heights B & B in Cape Town received an Afristay.com Certificate of Excellence Award. 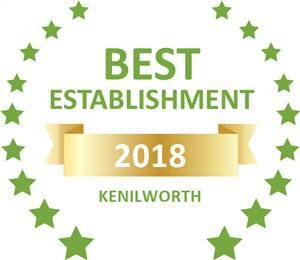 Based on reviews of establishments, Valley Heights has been voted Best Establishment in Kenilworth for 2018. 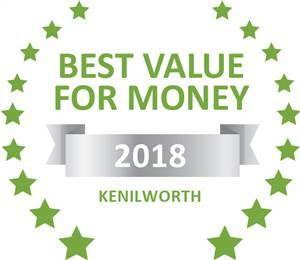 Based on reviews of establishments, Valley Heights has been voted Best Value for Money in Kenilworth for 2018. 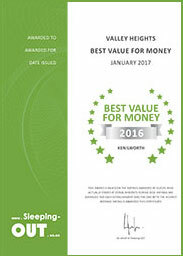 Valley Heights B&B has been voted a top Kenilworth establishment.